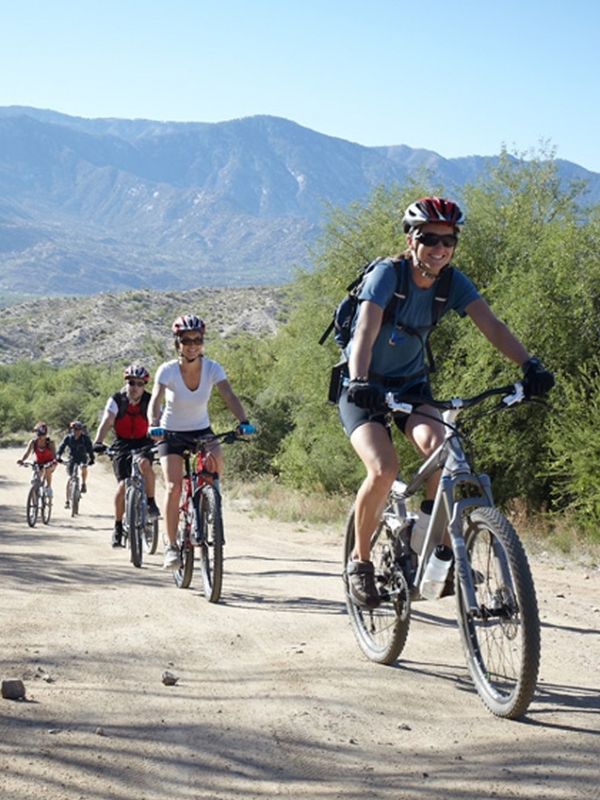 Learn basic skills or challenge your expertise in off-road biking, balance, control, navigating sand/hills, and riding single track with tailored, guided mountain-bike rides. Learn basic off-road riding skills, including balance, control, navigating sand and hills, and riding single track. 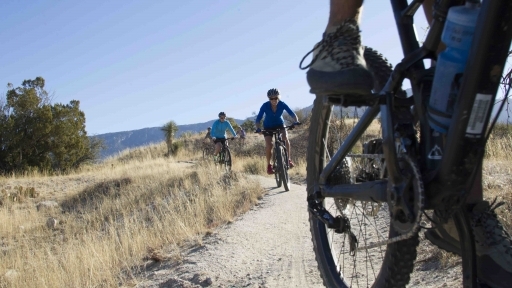 This is a class of one-to-three miles designed for the guest with no previous mountain biking experience. 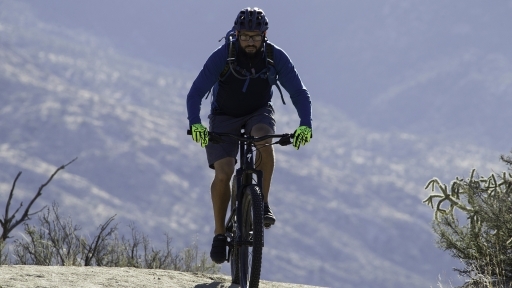 Build on the concepts and skills taught in the Mountain Bike Basics class with this physically challenging, three-to-five mile off-road adventure. Previous mountain biking experience is recommended. Take mountain biking to the next level and apply the skills and confidence from your mountain biking routine to this challenging single track ride. Regular mountain biking experience is required. Guests without significant single track experience are recommended to enjoy Mountain Bike Riding Techniques or private sessions. 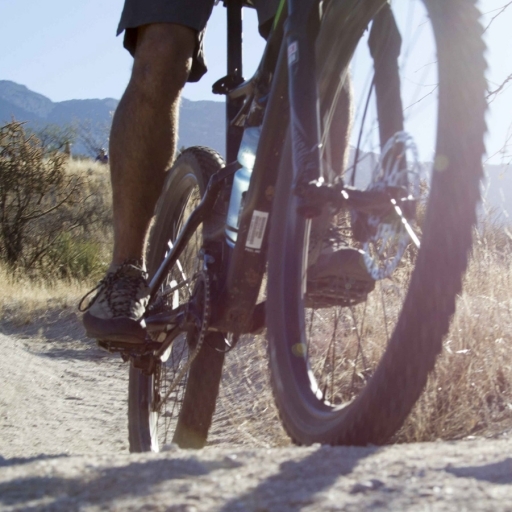 *Wear or bring sturdy closed-toed shoes, comfortable clothing for riding, and sunscreen. Don’t forget your Miraval water bottle! All Levels: Suitable for all participants. Intermediate: Some prior experience recommended. Modifications will be offered to make the class more accessible or more challenging as appropriate. Advanced: Class or session will maintain a high level of intensity with limited opportunities for breaks. Regular practice required. Wear or bring sturdy closed-toed shoes, comfortable clothing and sunscreen. Don’t forget your Miraval water bottle!